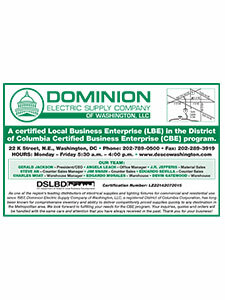 Dominion Electric Supply of Washington, LLC is a certified Local Business Enterprise (LBE) in the District of Columbia Certified Business Enterprise (CBE) program. We look forward to fulfilling your needs for the CBE program. Your inquiries, quotes and orders will be handled with the same care and attention that you have always received in the past. Thank you for your business! 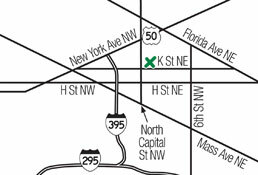 Please call us if you need more information!